I can’t believe it’s August already…summer is flying by! 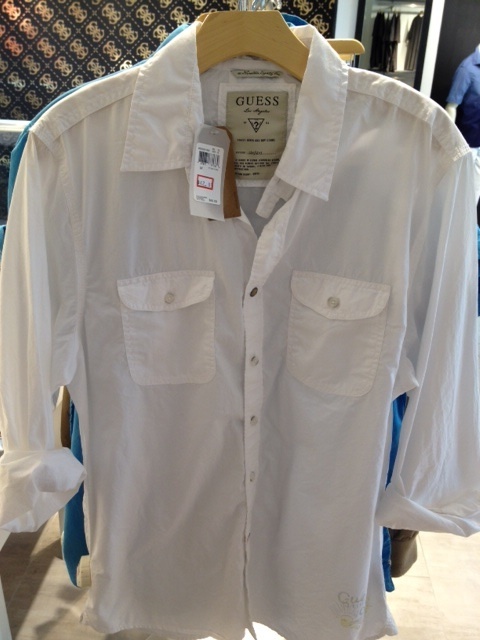 Well this week I went to one of my favorite stores, J.CREW, and put together some amazing outfits. 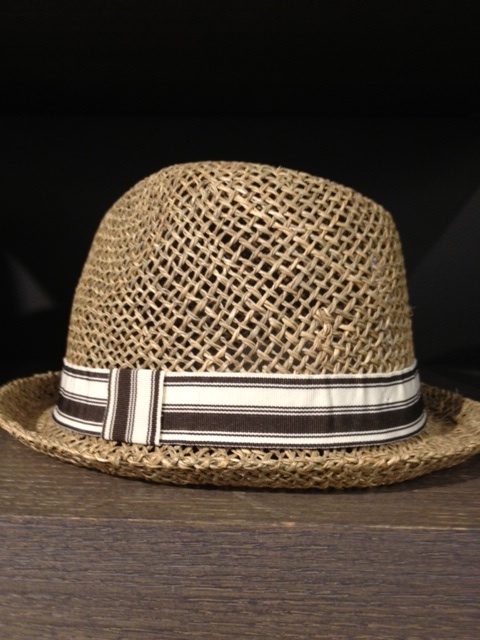 Every piece by itself is beautiful, and there is no limit to the mixing and matching possibilities. And I want to thank the people at J.CREW for being so amazing in allowing me to accomplish this! 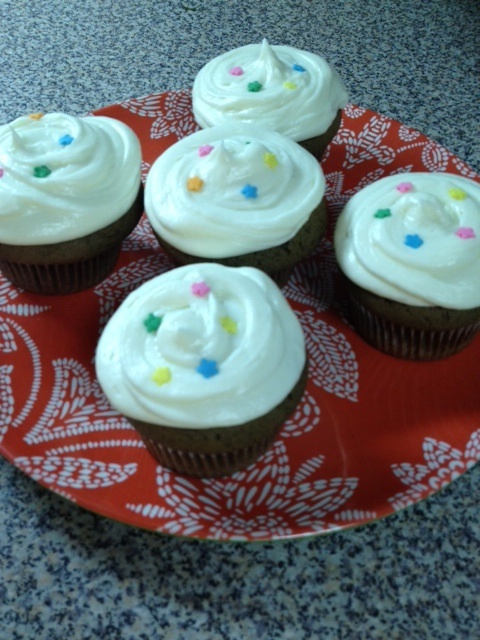 As for the cupcakes this week, I decided to bake a batch inspired by one of the outfits I created from J.CREW! 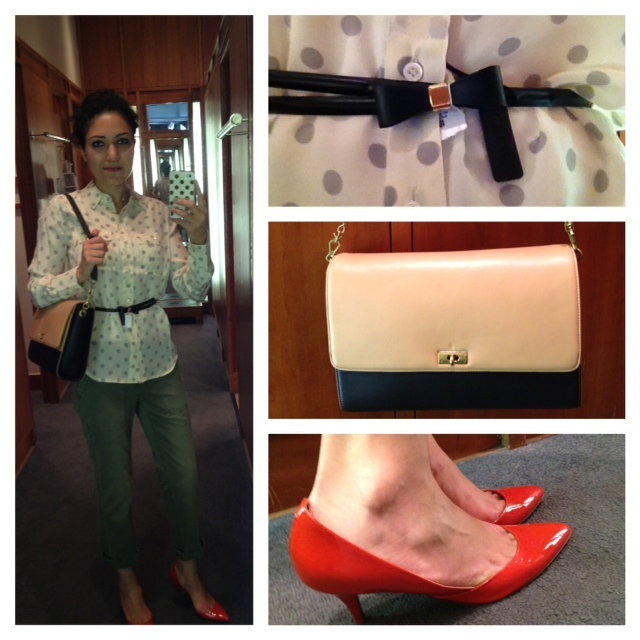 I loved this white/gray polka dot blouse when I saw it, and matched it with this green utility pant. I put a black bow belt for a feminine touch, and chose this great Edie Grand bag. 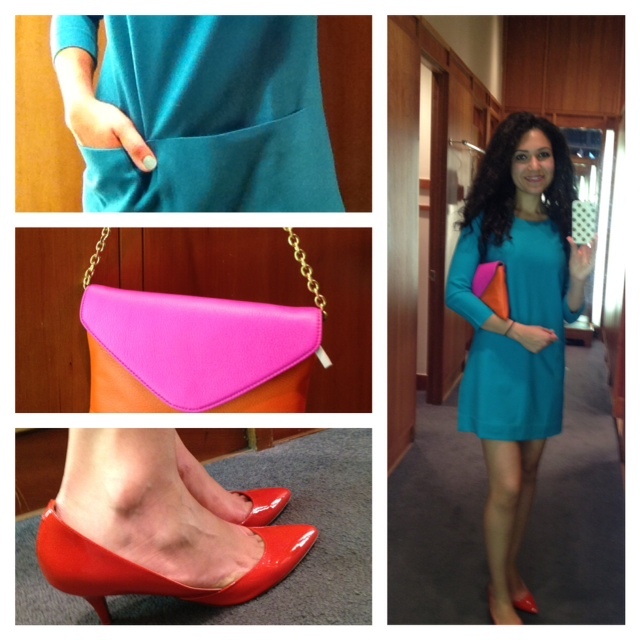 I added a pop of color with these bright red Valentina pumps. These cropped chino pants were so cool, and I matched them with a dark green perfect-fit V-neck tee, and a denim vest on top. 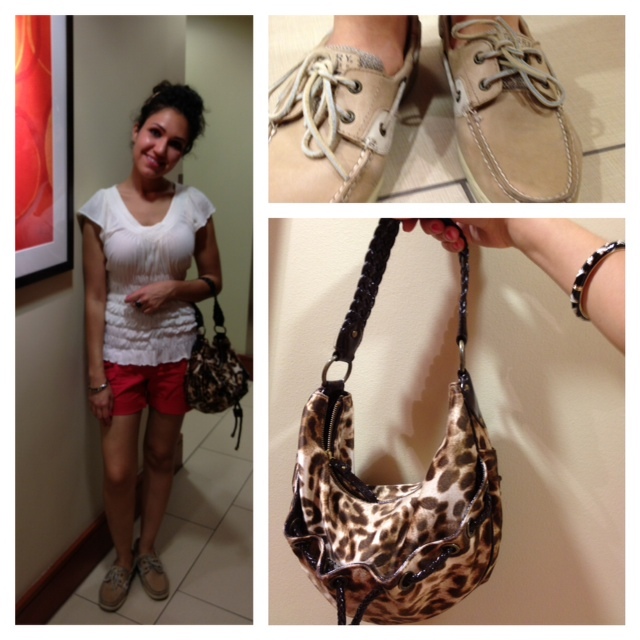 The bag is a nice blue Edie purse, and for the shoes I went with a pair of Martina suede wedges in burnt sienna. 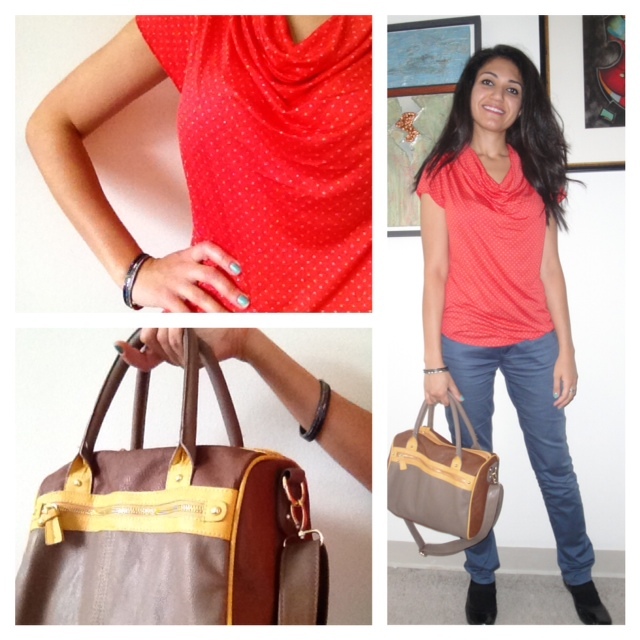 I love this great structured red Allie dress, and wore it with this colorful Liberty shirt. 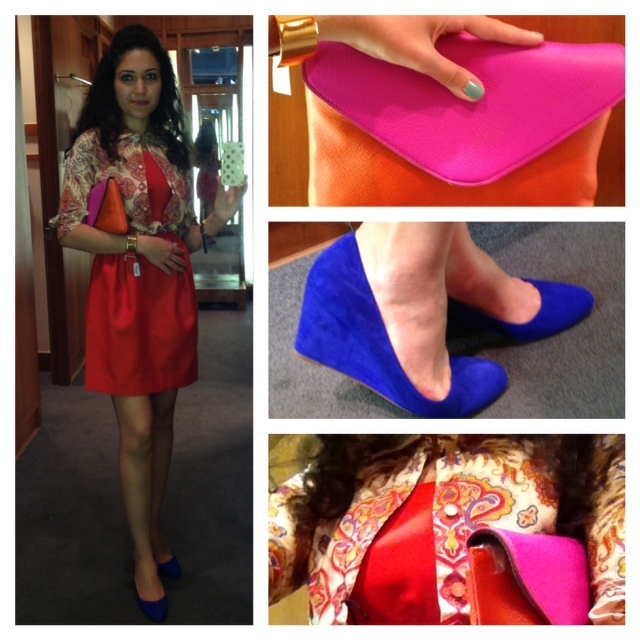 I like this pink and red color-block clutch, gold wide cuff, and these Martina suede wedges in bluebird. 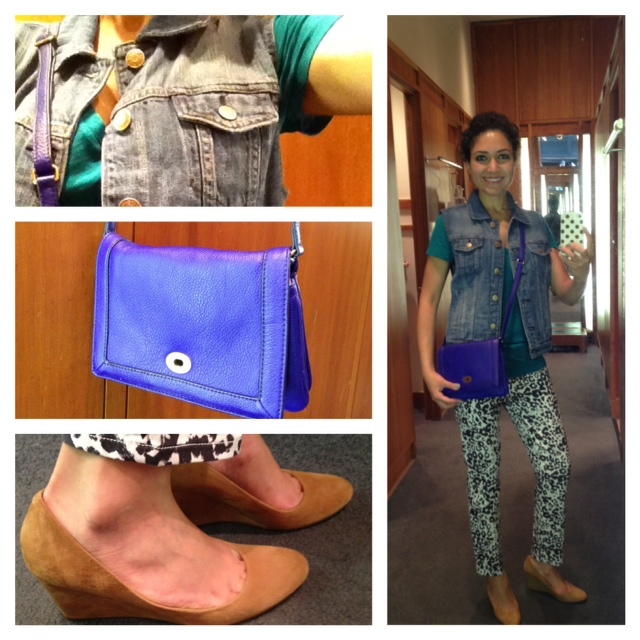 I love wearing lots of colors together sometimes, and you gotta have fun with it! 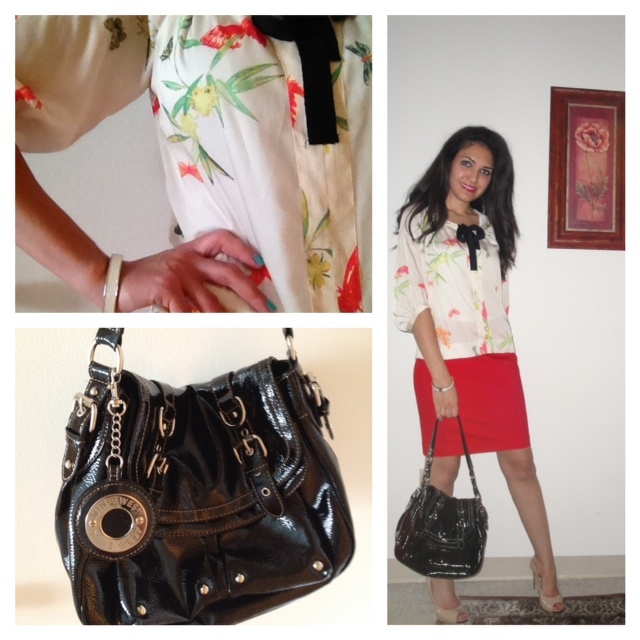 This is one of my favorite outfits! 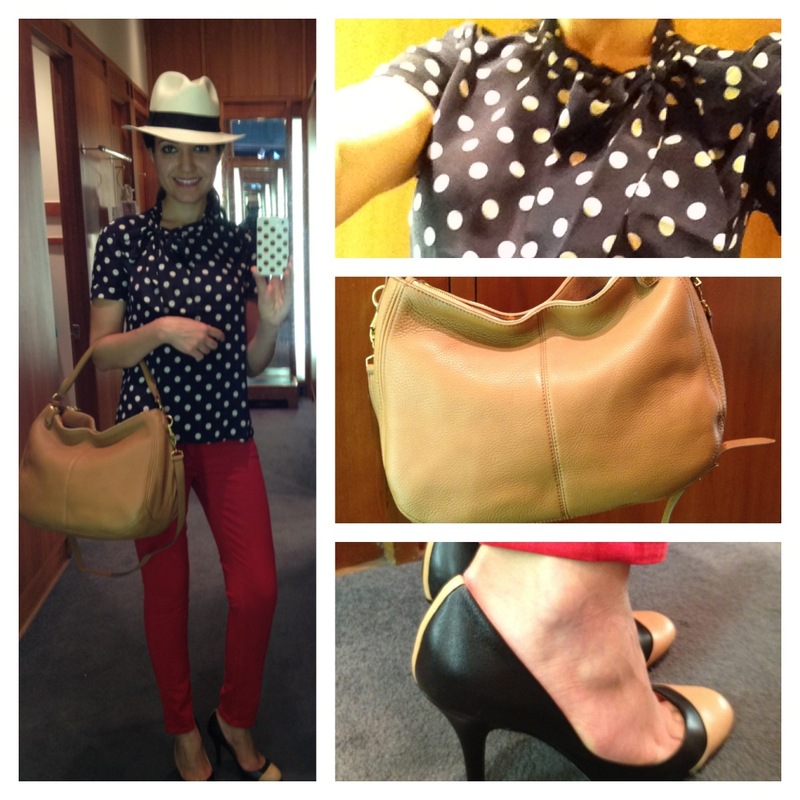 I found this deep navy tie-neck polka dot blouse and wore it with this Ankle stretch toothpick jean in dark poppy. I decided to put on a Panama hat, and complete my outfit with this Biennial hobo in saddle and these great leather pumps. This last outfit is perfect for Fall…I love this wool Jules dress, it’s a great color and I love the big pockets in the front. 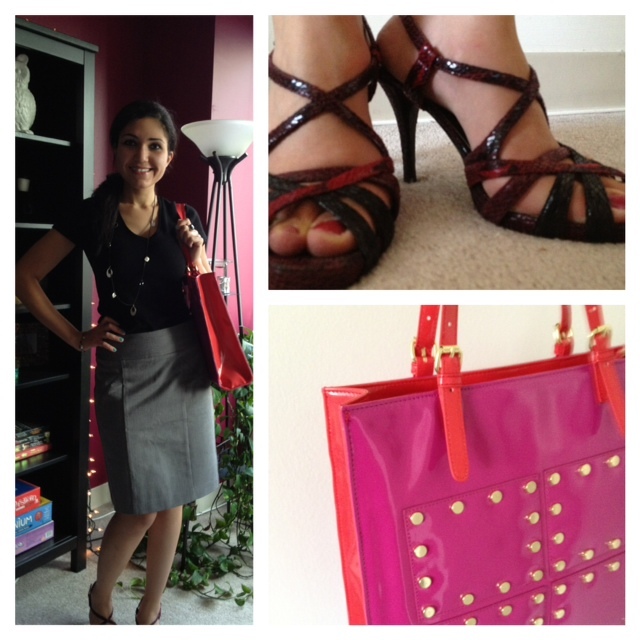 The bag is the same as the third outfit, and the red pumps are the same from the first outfit. So I totally loved the fourth outfit I wore (tie-neck polka dot blouse and red pants), and decided to bake cupcakes to reflect it. These are vanilla cupcakes with fresh strawberries baked right in, with a whipped chocolate ganache frosting, and decorated with white candy pearls. They turned out amazing, and I love the strawberries in them which is perfect for the summer. Carnivale of Cupcakes on Wheels! 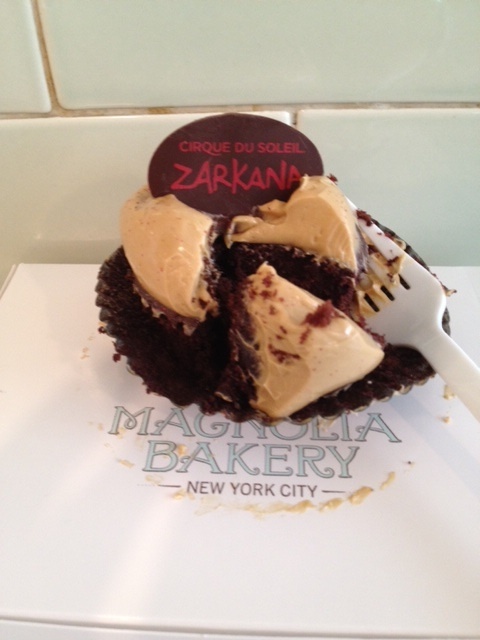 This was a delicious cupcake from Magnolia Bakery in NYC! 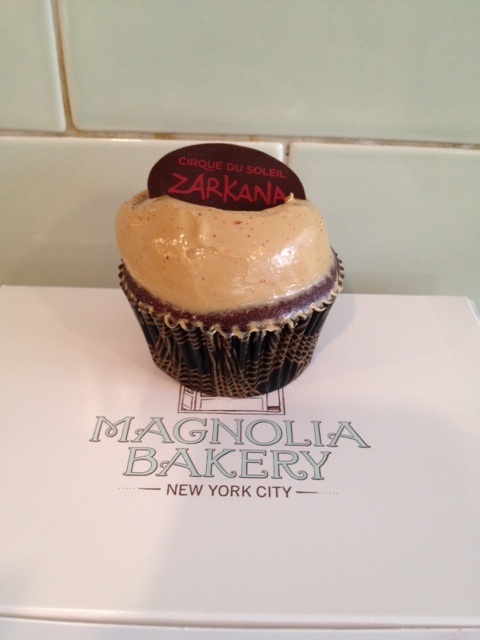 It was a special edition flavor for the Cirque Du Soleil Zarkana. It’s a Devils food cupcake with coffee bean meringue buttercream icing. Yum! 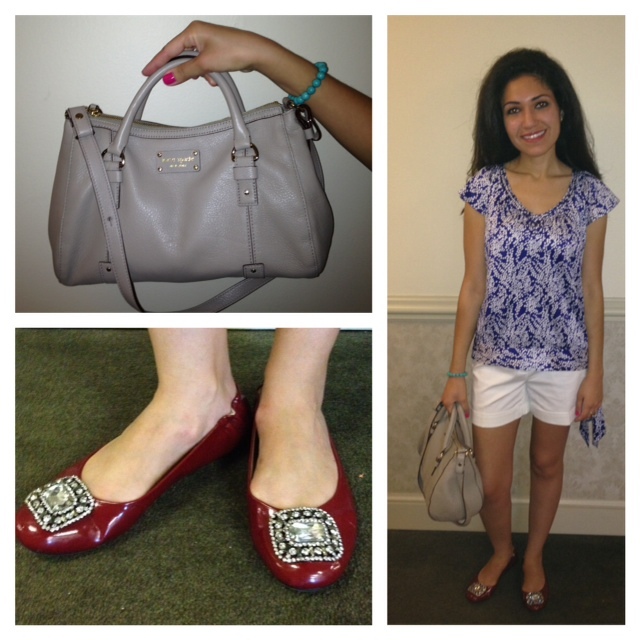 7/22/12: Fashion and Cupcake Finds! 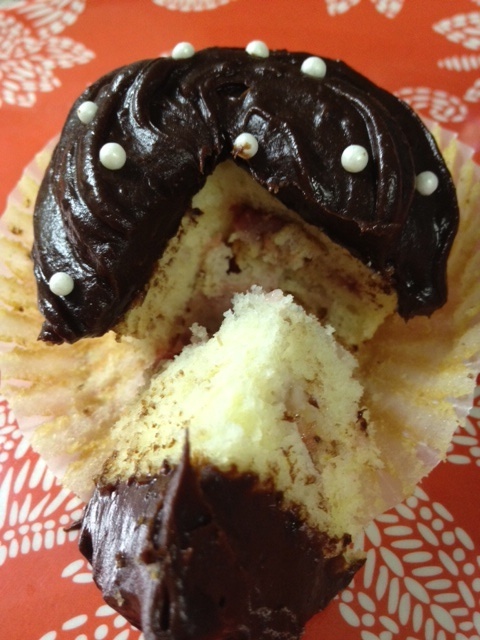 This week was all about fabulous fashion finds for MEN, and finding a delicious cupcake from a local bakery. 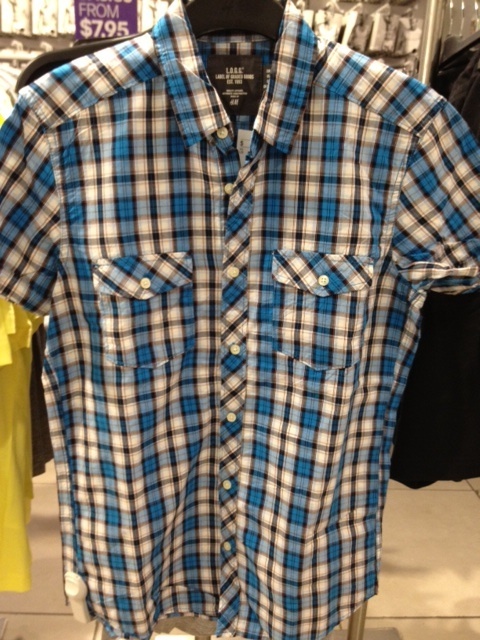 I went to a bunch of different stores and found some great summer pieces for guys that I thought were a good deal. 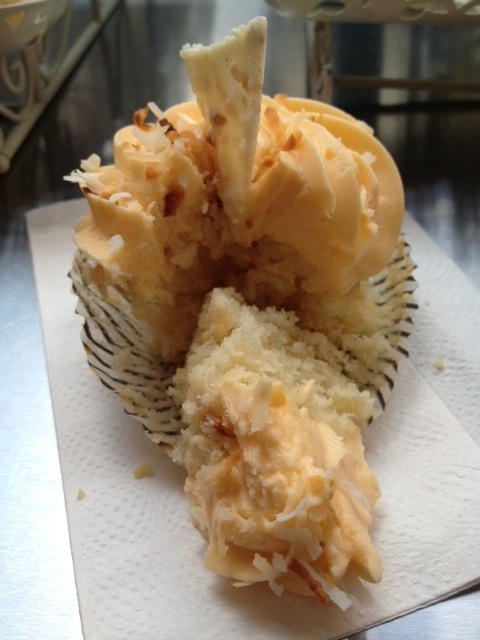 Then I tried a cupcake from Philly Cupcake, a wonderful cupcakery boutique here in Philadelphia. 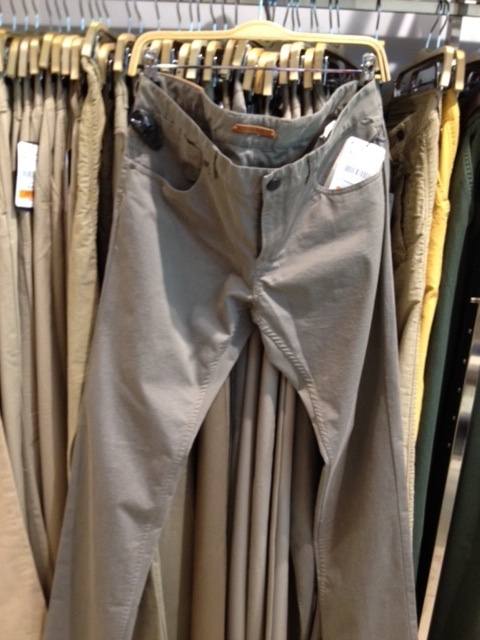 Pants, Zara, $29.99 (on sale!) 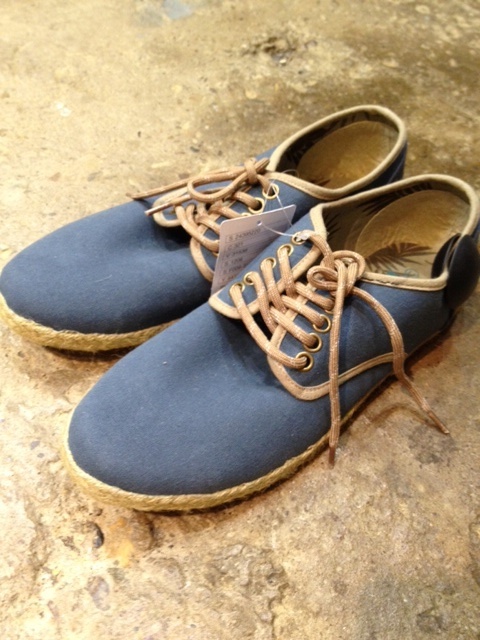 and they come in 10-15 different colors! 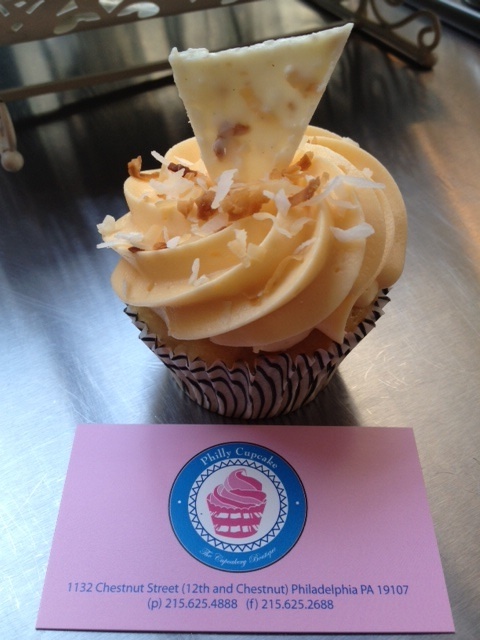 Coconut cupcake with coconut mango icing and a coconut white chocolate on top…DELICIOUS! I just moved to Philadelphia and was so excited to start my blog! 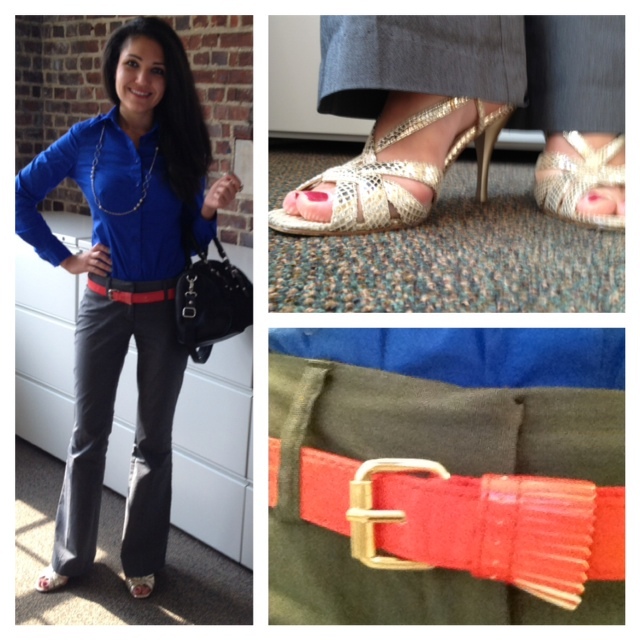 This first week’s post has all the outfits I wore to work. The dress code is business casual, so I have flexibility in expressing my style while being professional. It’s been a hot week here in Philly, so I wore outfits that kept me cool. 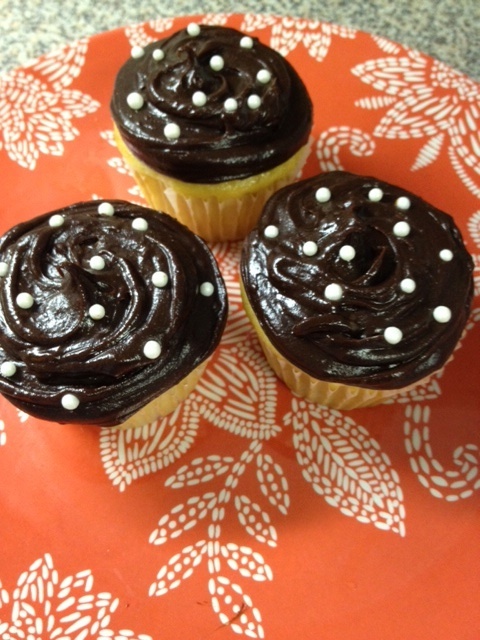 And as for the cupcakes, I baked chocolate cupcakes with Philadelphia cream cheese frosting, decorated with flower sprinkles!